Coyle, Joan V., age 90, who resided in Miamisburg, passed away peacefully in her sleep at Sycamore Hospital on August 18, 2018 after a lengthy illness. 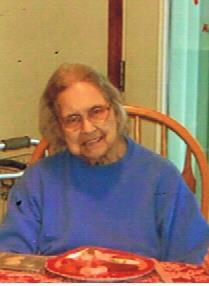 She was born in Middletown on July 4, 1928 and was the 5th of 11 children of the late Robert & (Lucille) Mary Coyle. She worked at NCR 23 years, then retiring from GM. Her interests were reading anything from history & geography, to mystery novels and poetry. She was also very talented, in her early years. She wrote poetry, played the piano, harmonica, and violin. She loved spending time with family and up to the time of her death, she never lost that Coyle sense of humor. Preceded in death by brothers, Bob, Tom, Dan, Joe & sisters Marie & Margie, and longtime friend Anne Bower. She is survived by brother Jim, and sisters Geri Knierim, Toni Seidl, & Susie Coyle. A Mass of Christian Burial will be held at 11:00 a.m. on Thursday, August 23, 2018 at the Holy Family Parish – Holy Trinity Church, 201 Clark St., Middletown, Ohio 45042 with Father John Civille celebrant. Burial Woodside Cemetery, Middletown. The family will receive friends from 10:00 a.m. to 11:00 a.m. at the church on Thursday. In lieu of flowers memorial contributions may be made to the Charity of your choice. Arrangements entrusted to the SWART FUNERAL HOME, West Carrollton. www.swartfuneralhome.com.